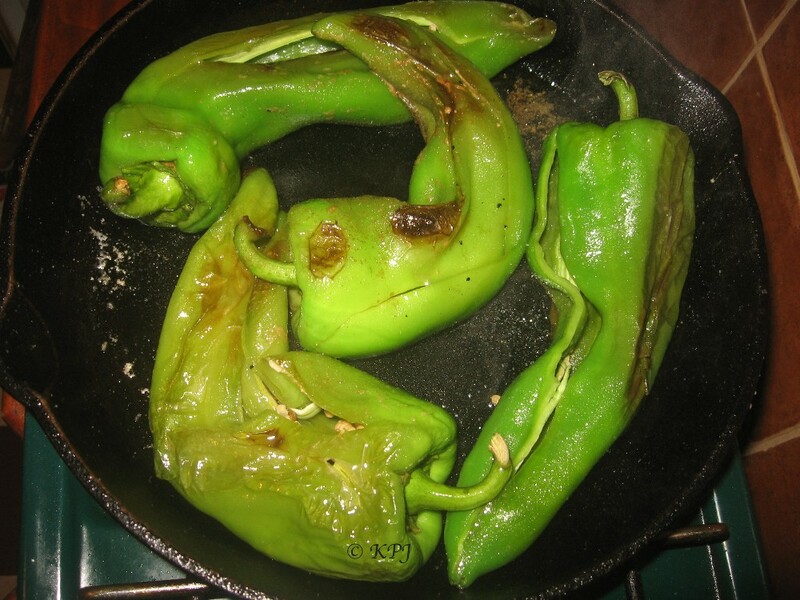 I used to sauté green peppers with garlic, but chatting to Adelina one day she told me how she cooks them with salt. When choosing your peppers, unless you have a long square pan, I recommend buying ones that are curvy so they fit nicely into the pan. Straight ones are great for grilling and marinating, but for this, the curved ones are better. 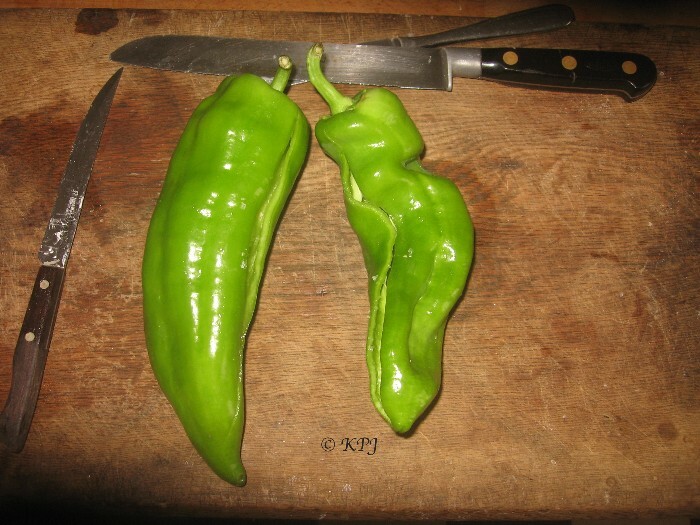 Slice peppers down one side. Add salt to inside – as much or as little as you want. Sauté in olive oil until the peppers start turning brown. Easy. I’m not a lover of salt so I was wary of this, but when I tried it, I thought it was excellent. Great for either a supper dish, a breakfast, a tapas, a side dish, whatever. If you want to cut the salty flavour with something, add wine or sherry vinegar or lemon juice.